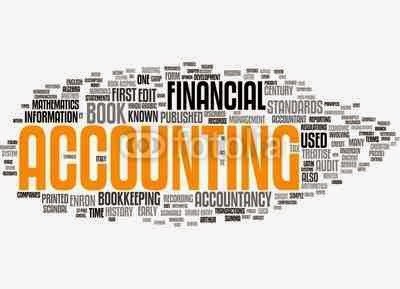 The fundamental accounting equation is the backbone of the accounting and reporting system. 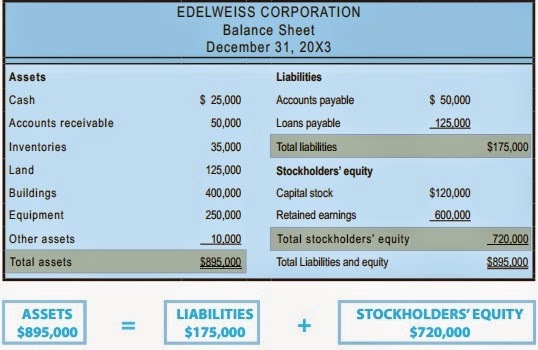 The following illustration for Edelweiss Corporation shows a variety of assets that are reported at a total of $895,000. was earned (and retained) by successful business performance over the life of the company. Does the stockholders’ equity total mean the business is worth $720,000? No! Why not? Because many assets are not reported at current value. balance sheet does not report its current worth. resources to its credit, such as a trade secret or a brand name that allows it to earn extraordinary profits. to these important non-financial statement based valuation considerations. This observation tells us that accounting statements are important in investment and credit decisions, but they are not the sole source of information for making investment and credit decisions.